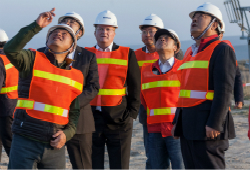 November 9, Hanas Group CEO Xu Changning led the research Envision, visiting its global monitoring center in Shanghai and fan factory in Jiangyin, Jiangsu. During the process, the two parties held in-depth discussion and exchanged views on the construction of Hanas Yanchi large puddles wind power Project of 300MW. 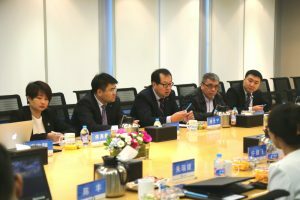 The investigation was accompanied by Tian Qingjun, Vice President of Envision, Wang Xiaoyu, Deputy General Manager, Kodak Bin, Customer Director, and Xu Fengfei, Director of Solutions, etc. During the research, the staff respectively presented the independently developed innovative achievements, like intellectual wind farm Wind OS Management Platform, the “Greenwich” cloud platform and the intelligent wind turbine. 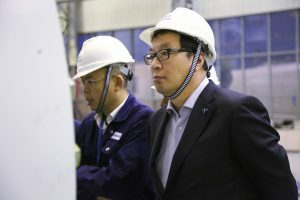 The development course, operation mode, direction of research and development of the enterprise were also delivered in detail to CEO Xu Changning and his entourage. 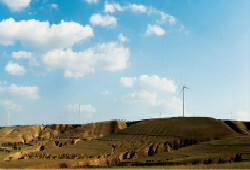 Envision is one of the world’s leading “smart energy” technology companies. 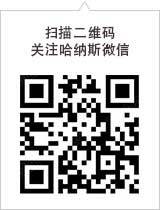 Its main businesses include research and development of intelligent wind turbines, intelligent wind farm software services and energy Internet technology services. Its mission is “to solve the challenges for the sustainable future of mankind” through the integration of global innovation resources and the establishment of energy Internet by intelligent control technology, advanced communications and information technology. In this way, the intellectual reform in tradiontional energy industry will be boosted. At present, Envision is the world’s largest intelligent energy management company, managing the world’s more than 50 million kilowatts of new energy assets, which cover wind power, photovoltaic, charging network, energy efficiency and other fields. 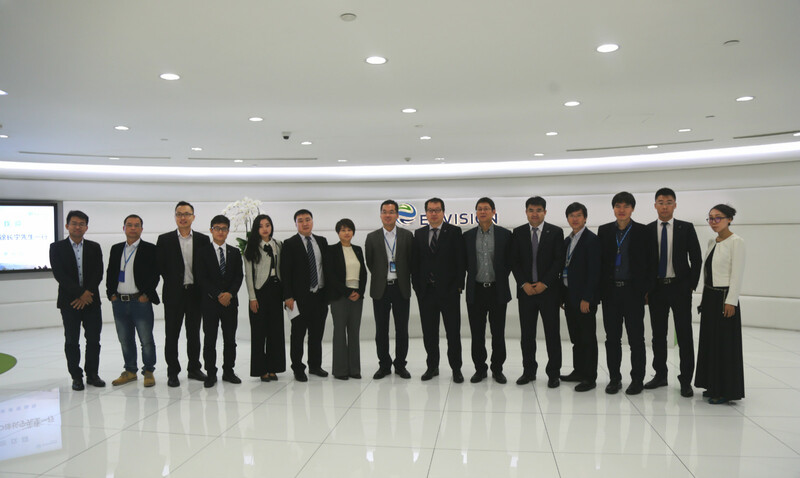 At the meeting, Envision briefed Hanas on the wind power projects of 30MW in Yansha, Yanchi and related products, focusing on the advantages of the Wind OS management platform and the Greenwich cloud platform. Subsequently, CEO Xu Changning introduced Hanas business development and future planning, and expressed high recognition on Envision’s strategies of gathering the first-class talent, the integration of global resources to build a global smart enterprise. He said, Envision’s independent research and development of intelligent management platform was impressive, which fully embodied its courage to innovate, and lead the development the industry. Vision is worthy of being learned by energy companies.